An Airframe is an essential composition or mechanical structure of an aircraft excluding its power plant and instrumentation; its main parts are the wings, fuselage, tail assembly, and landing gear. It is intended to withstand all aerodynamic forces as well as the stresses imposed by the weight of the fuel, crew, and payload. Boeing in the U.S. and Airbus in Europe are the dominant assemblers of large airframes known as wide-body aircraft. A lot of manufacturers in Europe, North America and South America took over markets for airframes designed to carry 100 or fewer passengers. 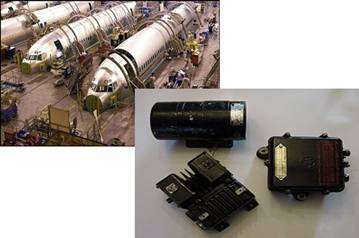 Many manufacturers produce airframe components. The Airbus intelligent airframe is optimized in terms of innovative materials and highly developed designs, and implements smart structures technologies gradually. Airbus is in the foremost position for application of advanced technologies and has achieved extensive experience in all airframe technologies with all types of structural materials. To cope with the present and future challenges and to integrate global state-of the-art hi-tech solutions, cooperation with external suppliers and partners is crucial. Therefore, Airbus is increasing its cooperation with research facilities, equipment, material and structure suppliers based on new Airbus Supplier cooperation philosophies.